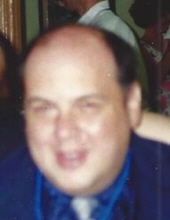 Michael F. Hiel, age 65, a 10 year resident of Washington Township and previously from Sterling Heights, MI., passed away on Tuesday, March 26, 2019 at Henry Ford Macomb Hospital in Clinton Township , Michigan. Mike was born March 28, 1953 in Detroit, Michigan , the son of the late Frank and Angela (Gonter) Hiel. After graduating from East Detroit High School, Mike joined the Navy and served our country for 3 years overseas. Afterwards, Mike started working for Controlled Power Company in Troy until his health forced him to retire. He was a well known history expert and enjoyed reading, but mostly just being a loving brother, uncle and a friend to all. Mike is survived by his siblings: Mark Hiel of Washington Twp., Nancy (Ron) Weyersberg also of Washington Twp., and Noreen (Robert) James of Macomb Twp. Nieces and nephews include Jacklin (Brad) Kasper and their children James & Ben, Angela (Daiki) Watanabe, Alyssa (Steven) Droege, and Tiffane James. A Requiem Low Mass will be held at Our Lady Queen of Martyrs Church (16414 E. 14 Mile Road, Fraser, MI 48026) on Friday at 11 AM. Visitation will be on Thursday from 2-8 PM at the Henry M. Malburg Funeral Home with a 7 PM Rosary (11280 32 Mile Road, Romeo Michigan 48065). To send flowers or a remembrance gift to the family of Michael F. Hiel, please visit our Tribute Store. "Email Address" would like to share the life celebration of Michael F. Hiel. Click on the "link" to go to share a favorite memory or leave a condolence message for the family.